This spring I was grateful to have taught several Sunday afternoon Community Classes at Sangha Yoga Collective. 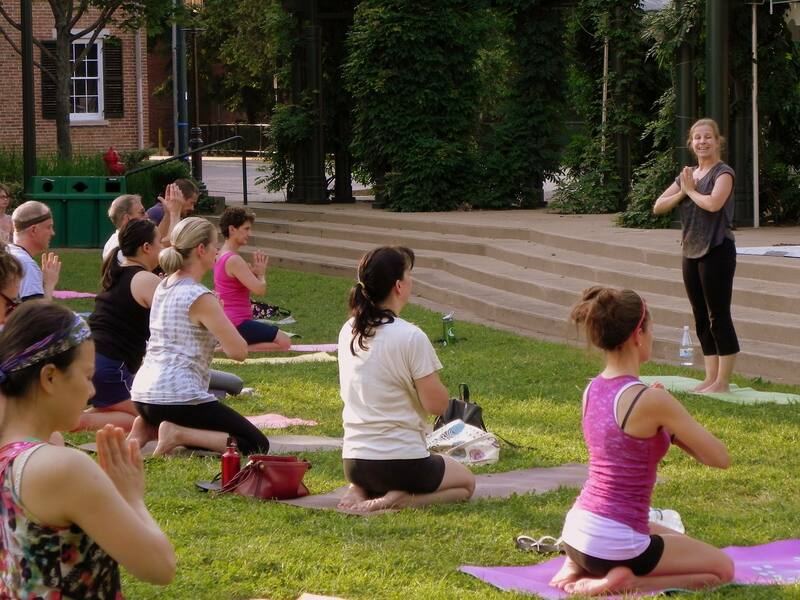 Last Monday, Sangha moved these community classes outdoors to Boardinghouse Park for free Yoga in the Park. * As you can see from the photo above, my colleague Isla led us in a beautifully cooling and grounding practice. This week, 7/22, I’ll be teaching. The Full Buck Moon (also Thunder Moon) falls on Monday. In India, this Full Moon is celebrated as Guru Purnima, which honors our teachers and mentors. I’m really excited to be honoring my teachers on such an auspicious day, filled with imagery of darkness and light. via Free Yoga in the Park on Monday, July 22.